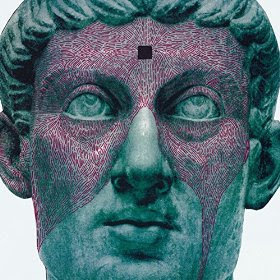 Stream: Protomartyr unleash "I Forgive You"
Stream New Order's new dancefloor jam "Plastic"
Protomartyr are set to return with their third album The Agent Intellect on October 9th. So far they've premiered a few songs from the record ("Why Does It Shake" and "Dope Cloud") and now another Protomartyr song has been unleashed! Stream "I Forgive You" below via Soundcloud and pre-order The Agent Intellect from iTunes, Amazon, and Hardly Art (first press of LP available on opaque green vinyl). "Detroit offers basements and garages for relatively cheap (although that is changing) in which to practice, many bars and friend’s houses in which to play, and a citizenry that are, for the most part, into getting their drink on and music appreciators. So that’s where we come from. Also, because that scene isn’t about "flash" or "making it", a band of nobodies with rudimentary skills can feel okay playing out." Protomartyr play two record release shows in Detroit at the Marble Bar, then they'll kick off their North American tour in support of the Agent Intellect. Check out the list of dates below.